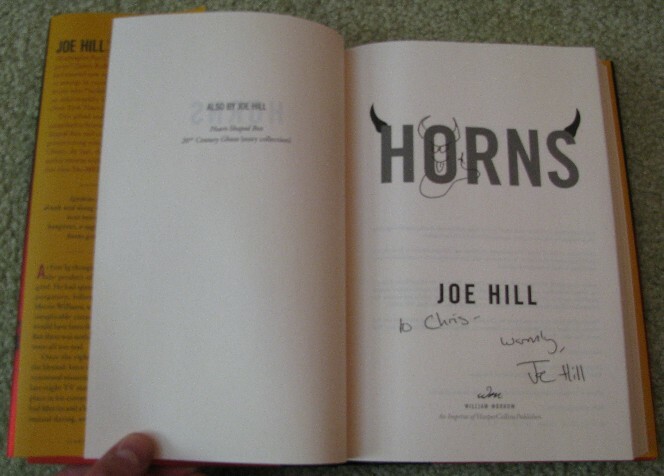 Here is a signed Joe Hill first edition of Horns. Joe was nice enough to personalize this for me and he also drew a nice devil too! Big thanks to Lynne who got this for me for my birthday.